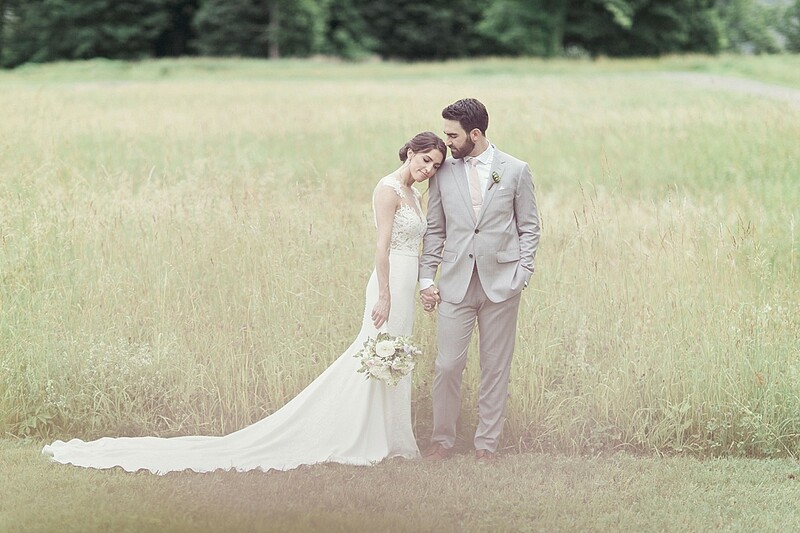 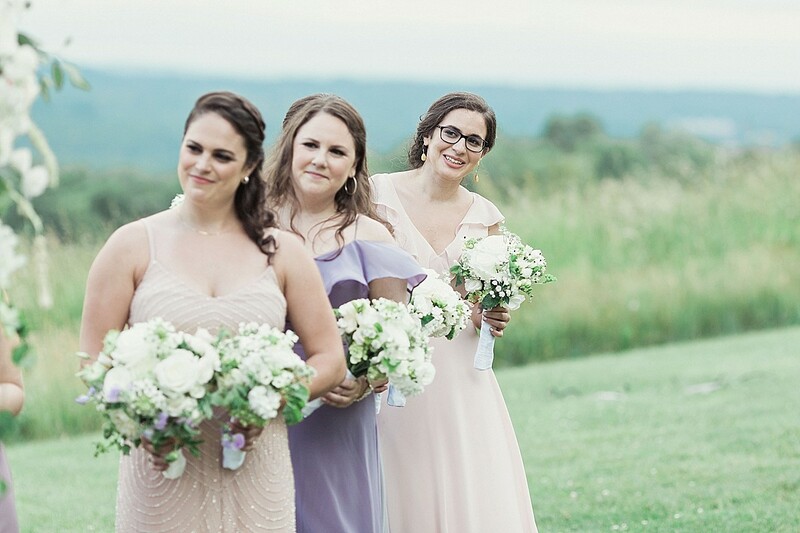 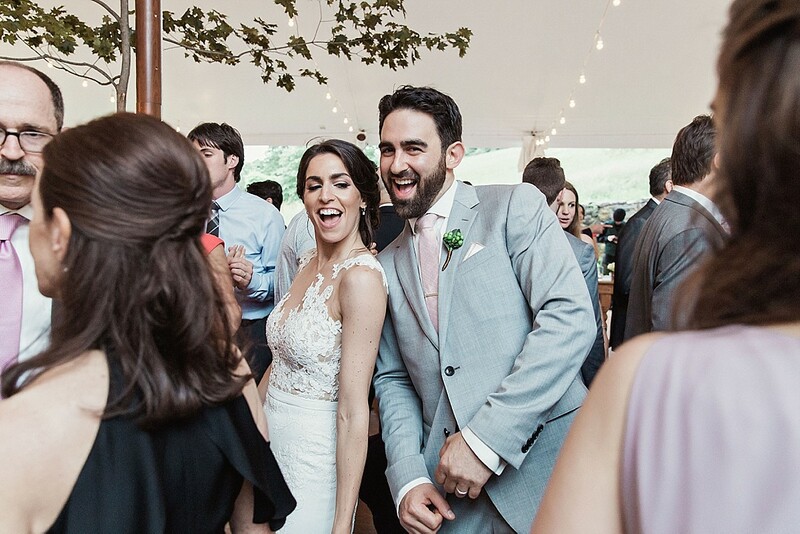 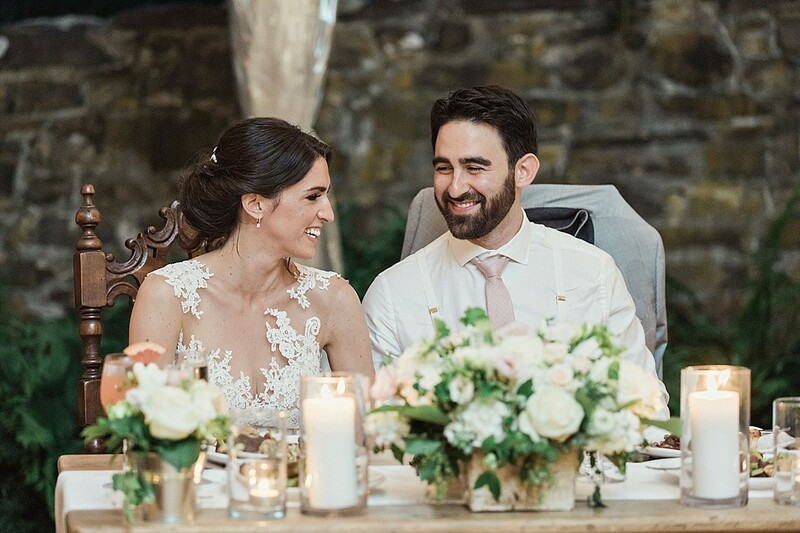 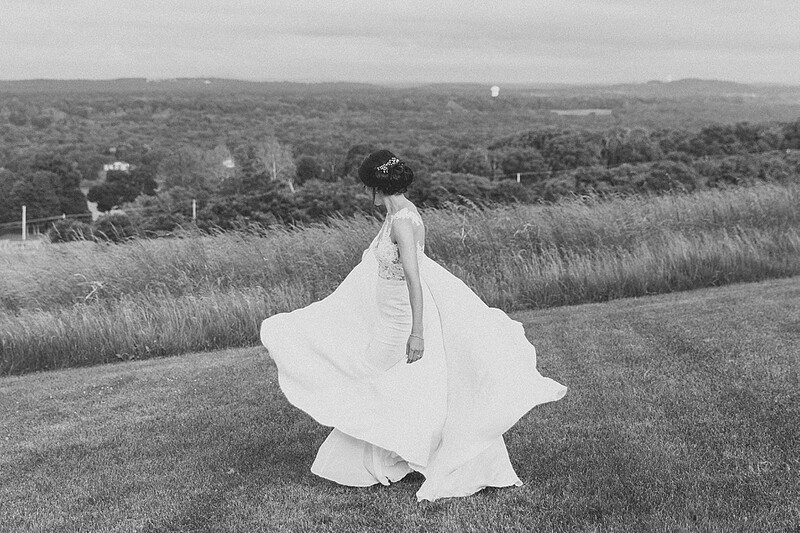 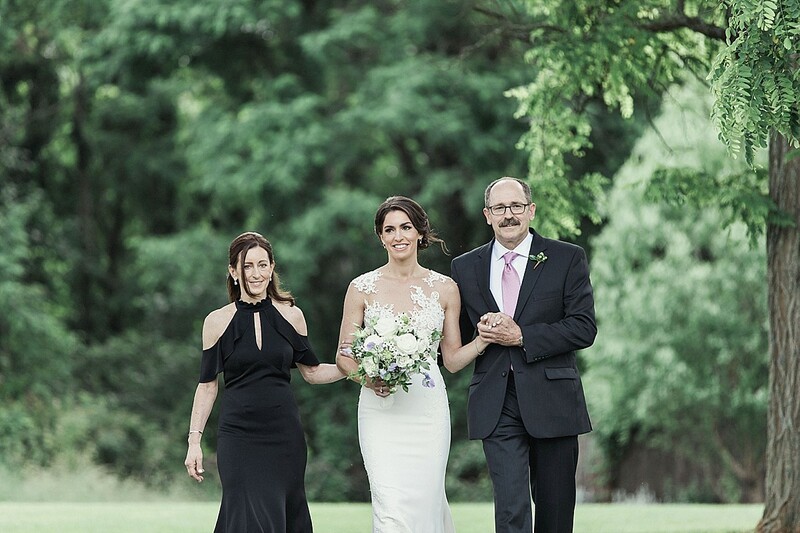 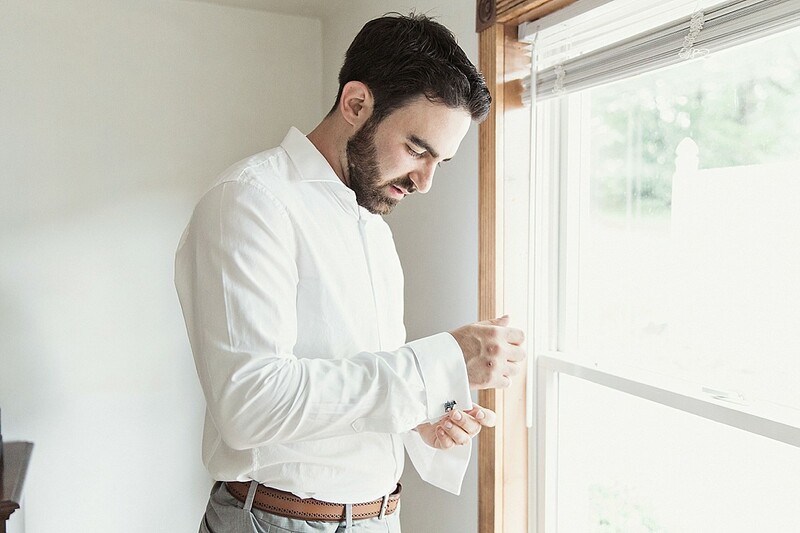 June is such a gorgeous time in the Hudson Valley, and last year I was lucky enough to spend the day with Rachel and Eric at Red Maple Vineyard. 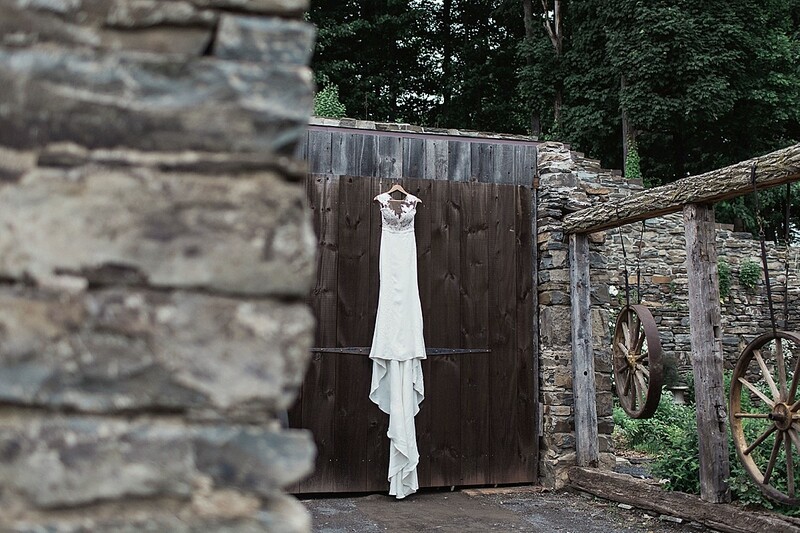 I have been dreaming of getting to shoot there for ages, and not just because it’s a ten-minute drive from my house. 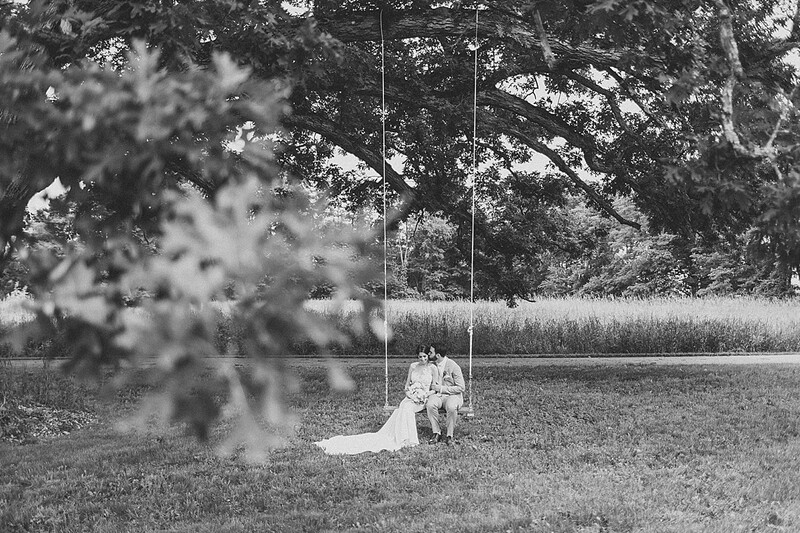 Look at those fields, that tree swing, the stone ruins! 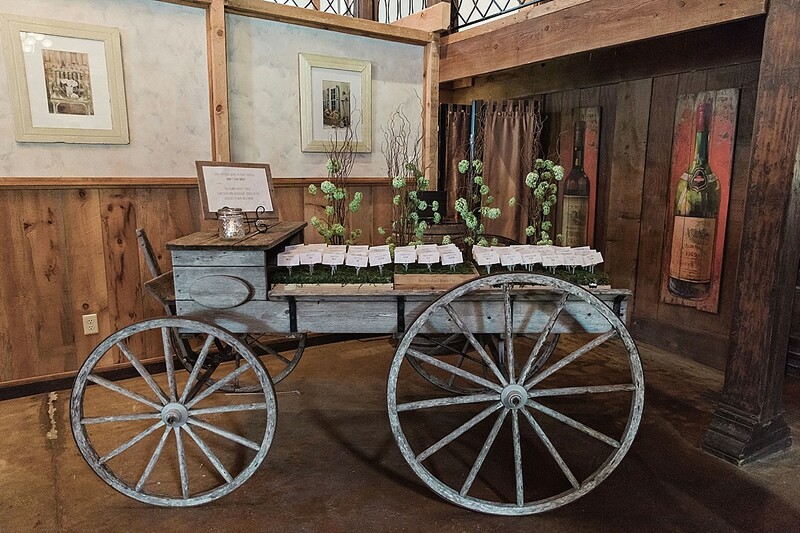 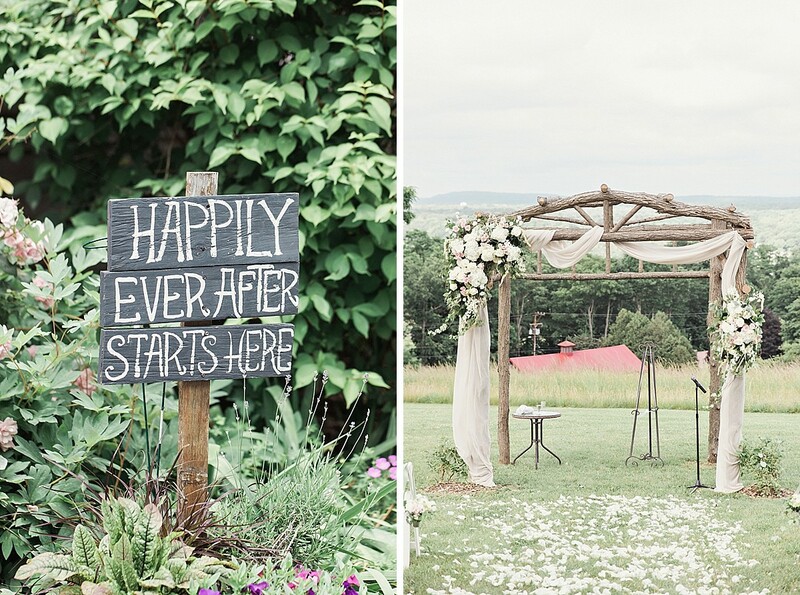 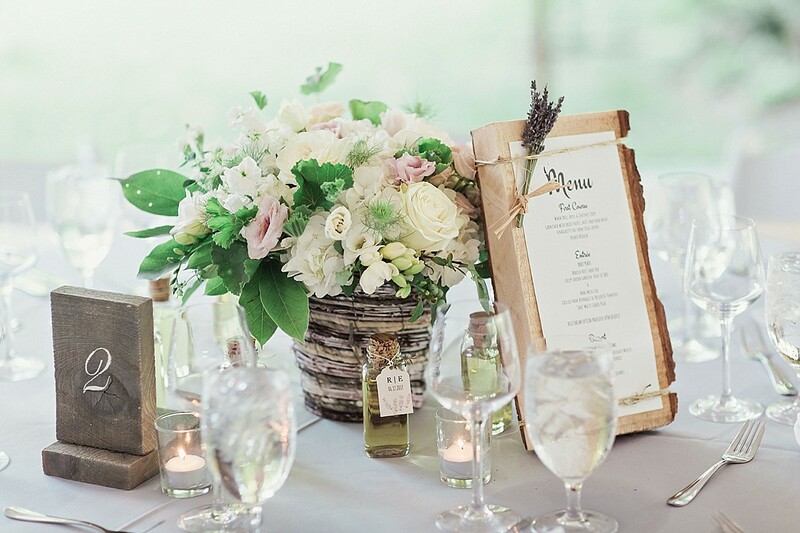 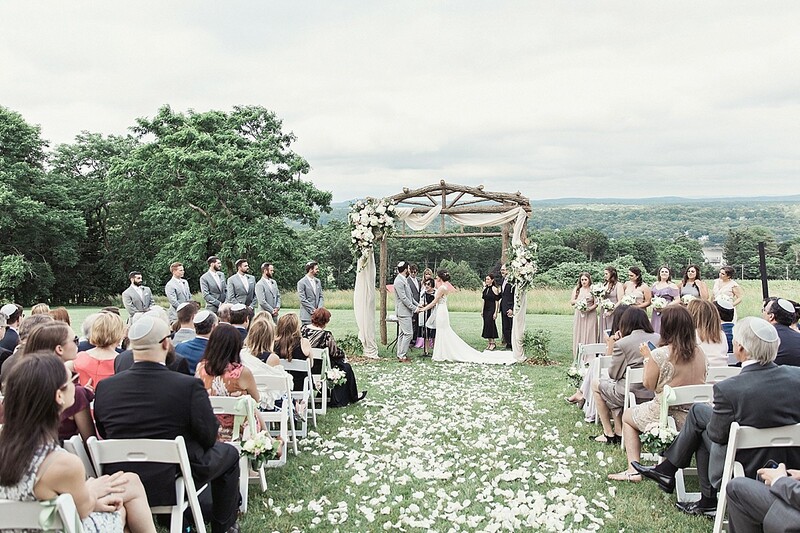 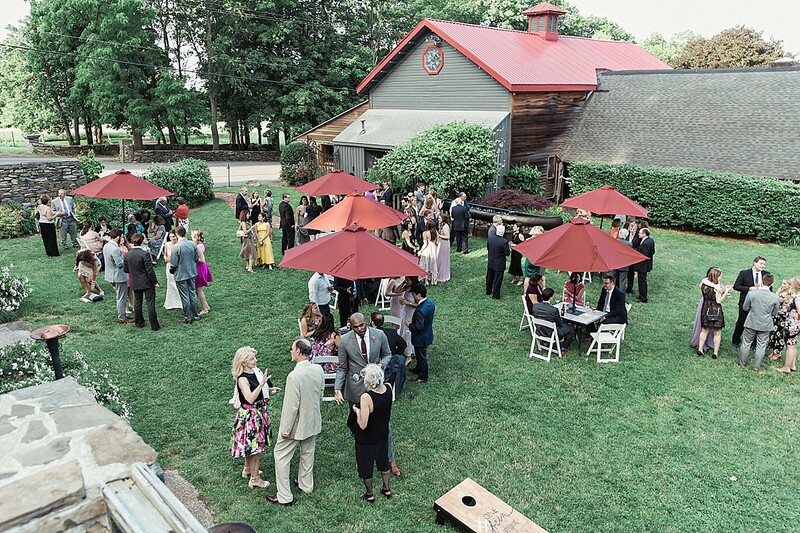 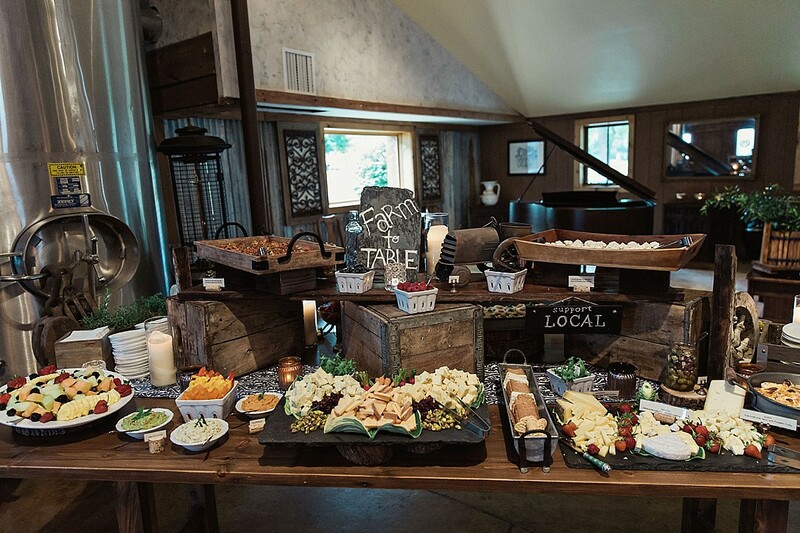 If you’re looking to have a rustic Hudson Valley wedding, you really can’t pick a better spot. 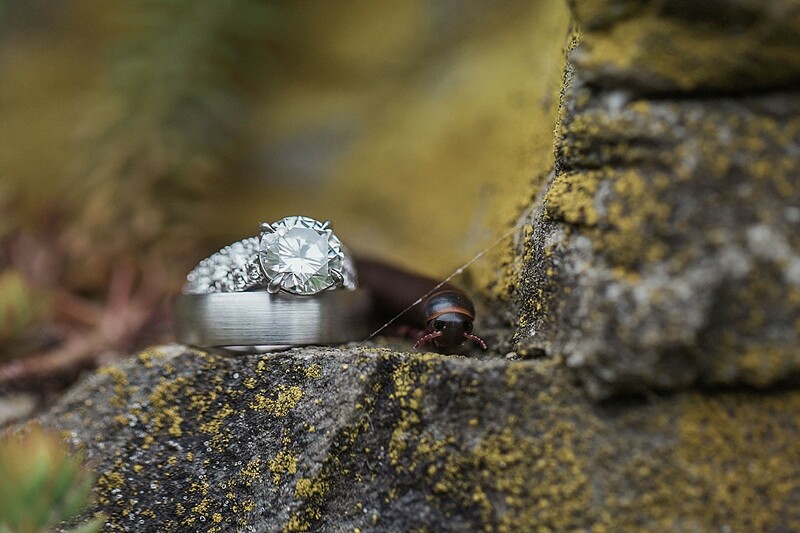 Plus, I’d already spent a little time with this delightful duo for their Brooklyn engagement session, so I knew it was going to best the best day. 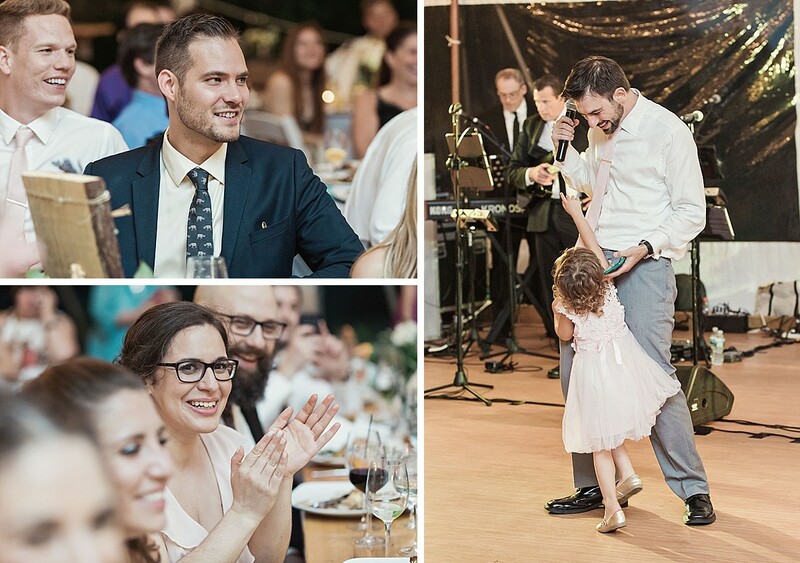 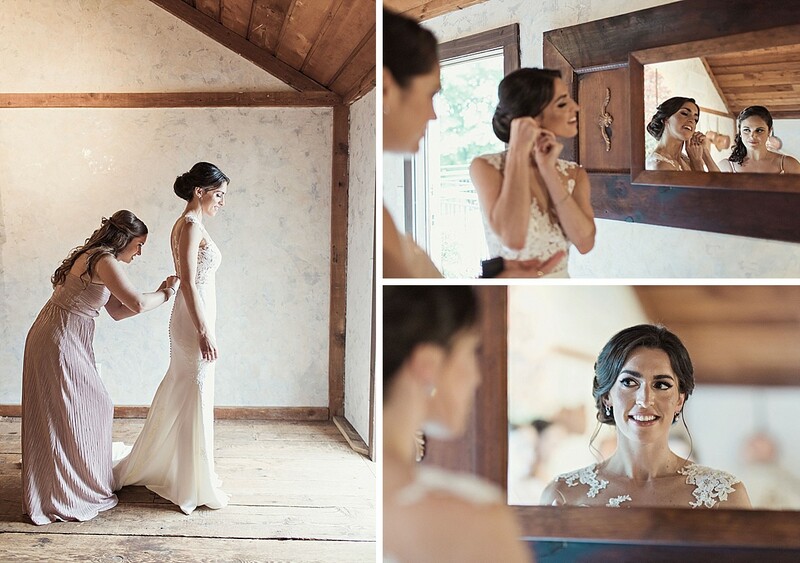 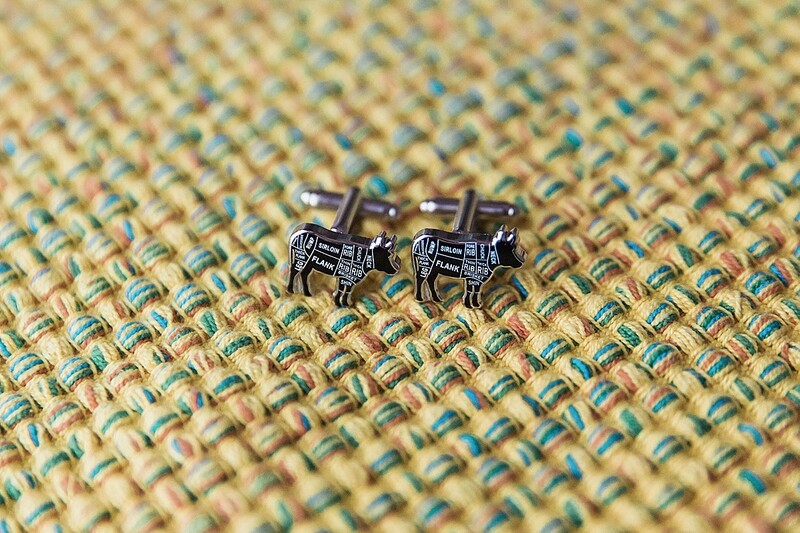 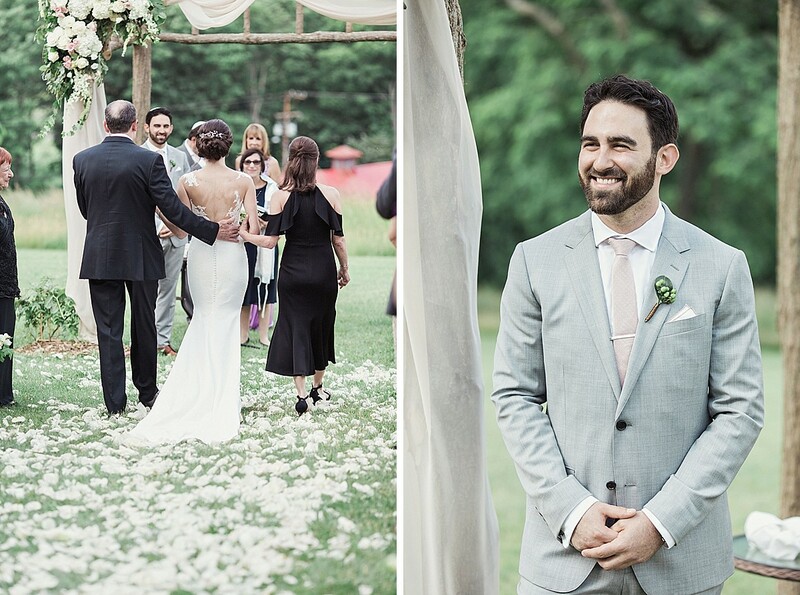 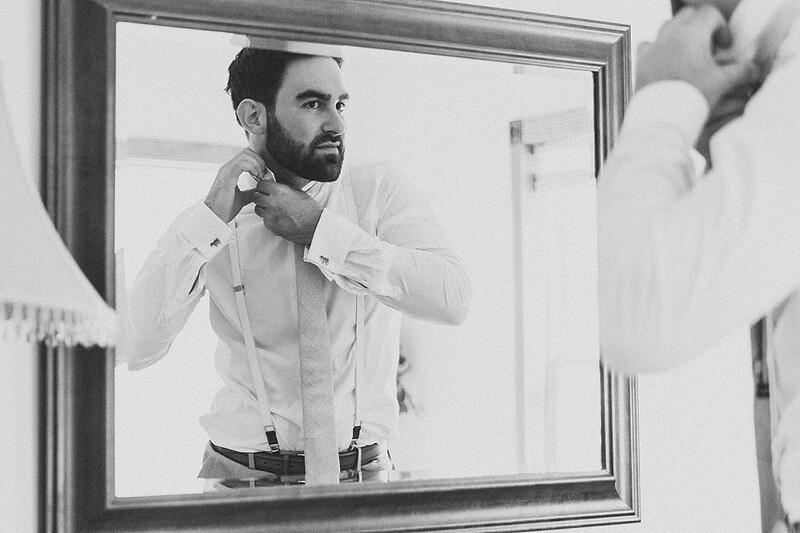 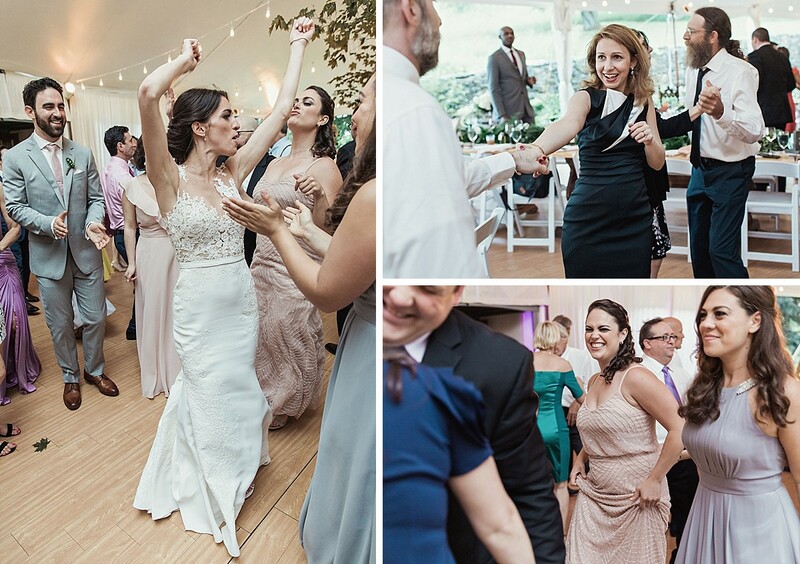 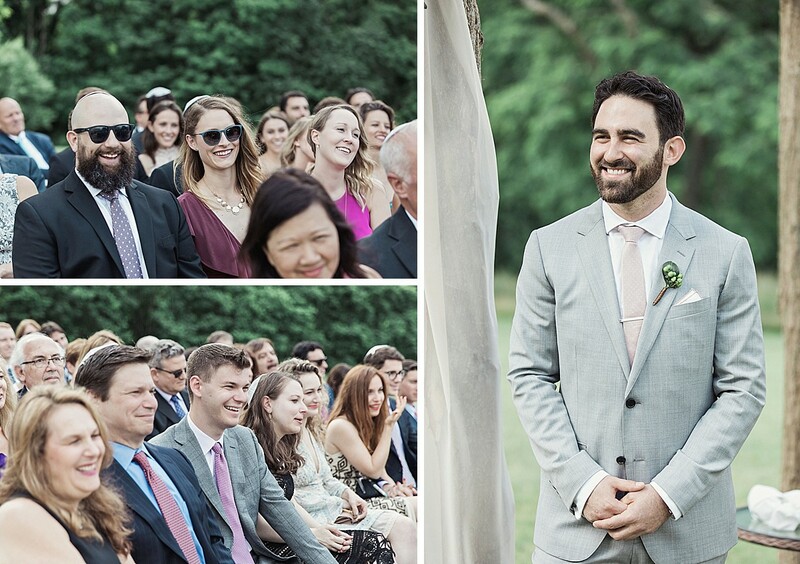 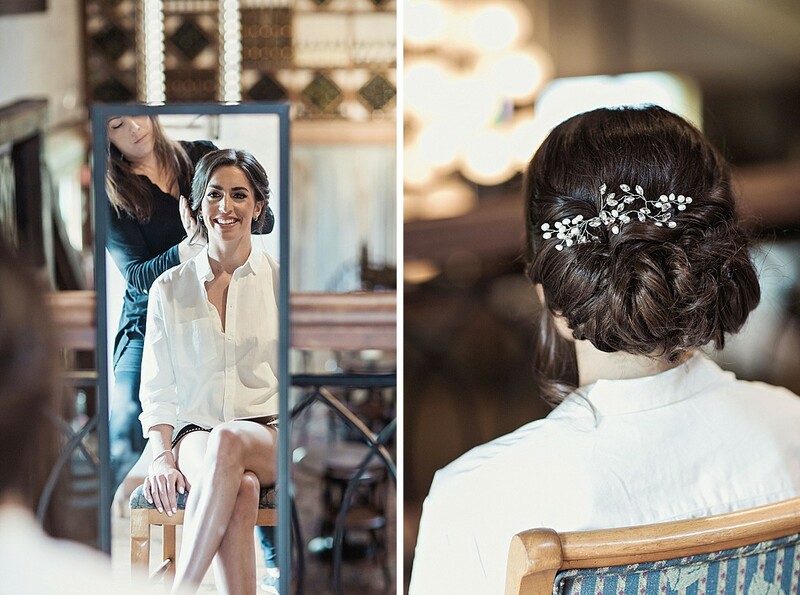 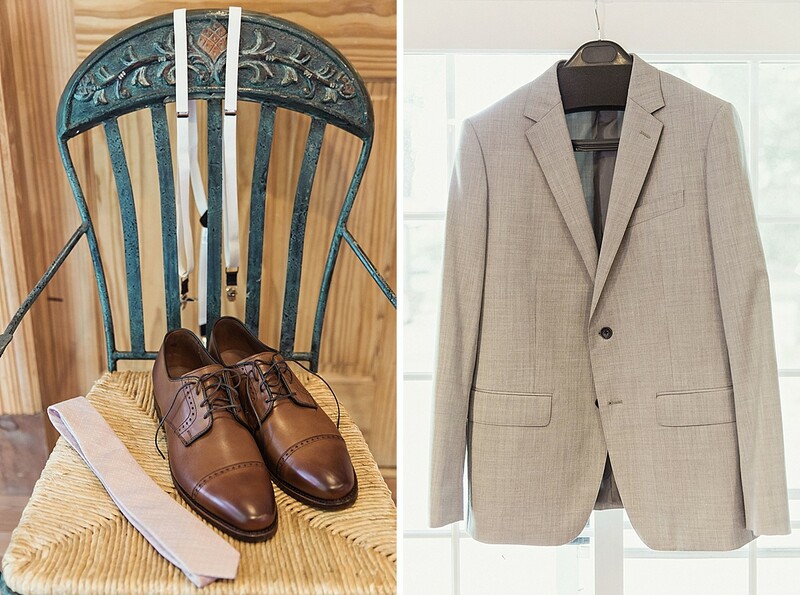 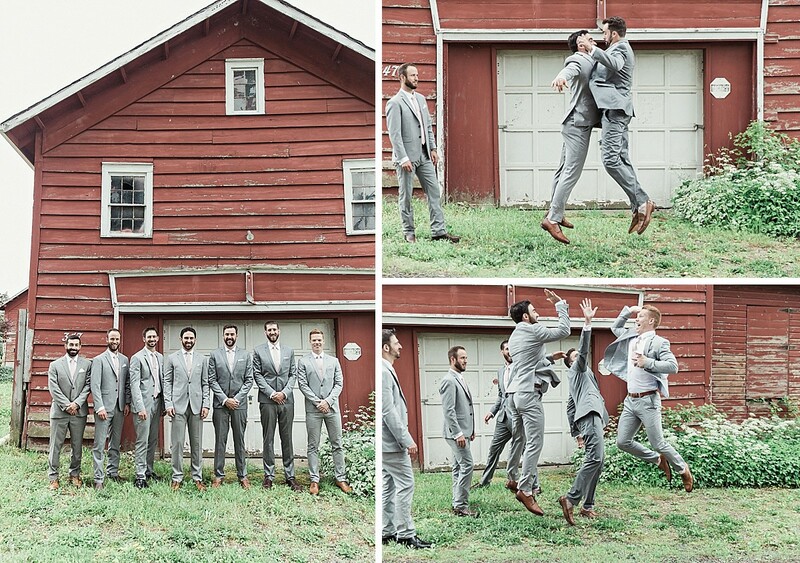 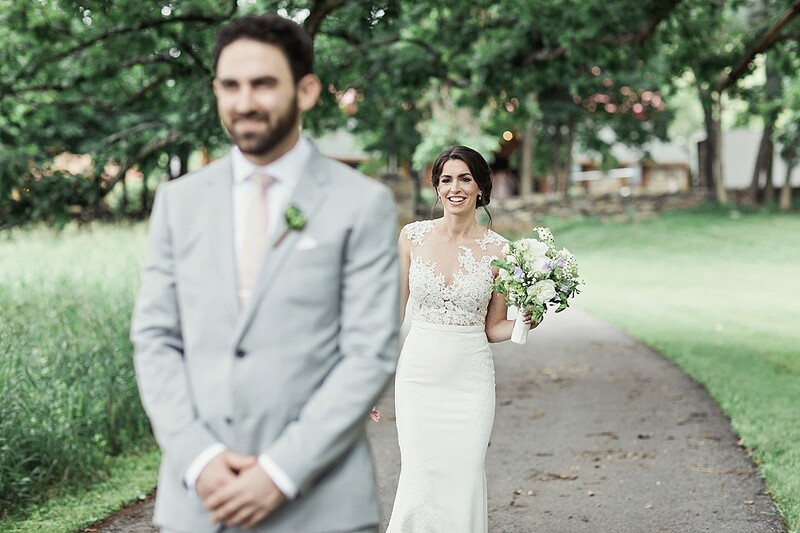 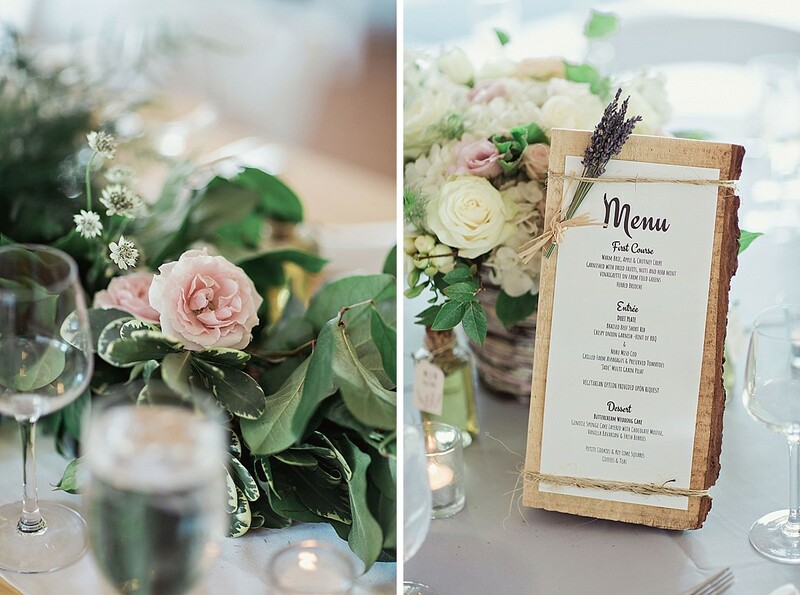 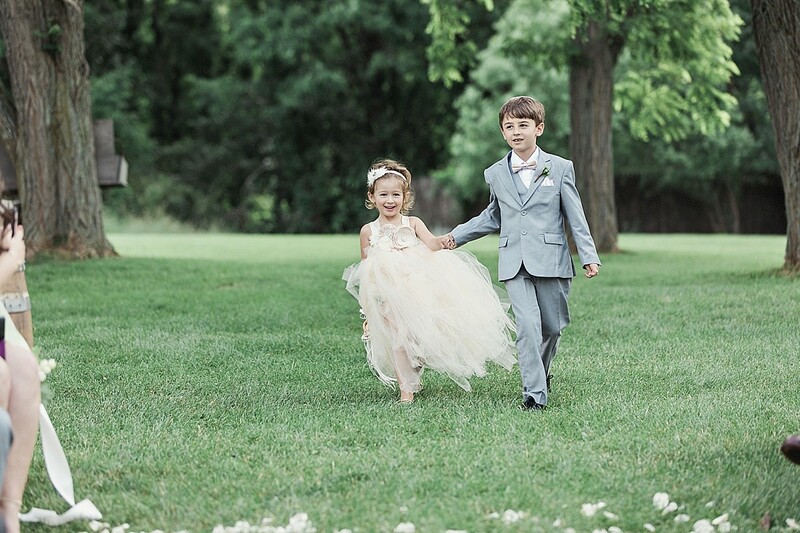 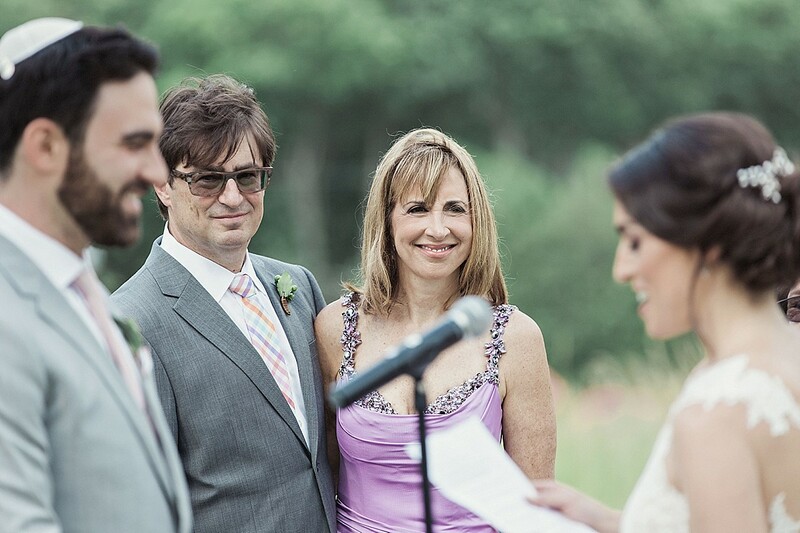 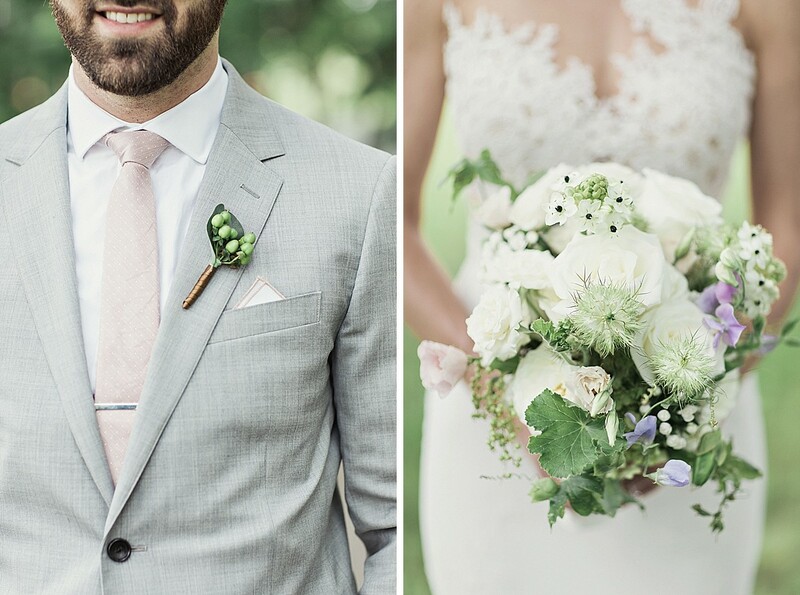 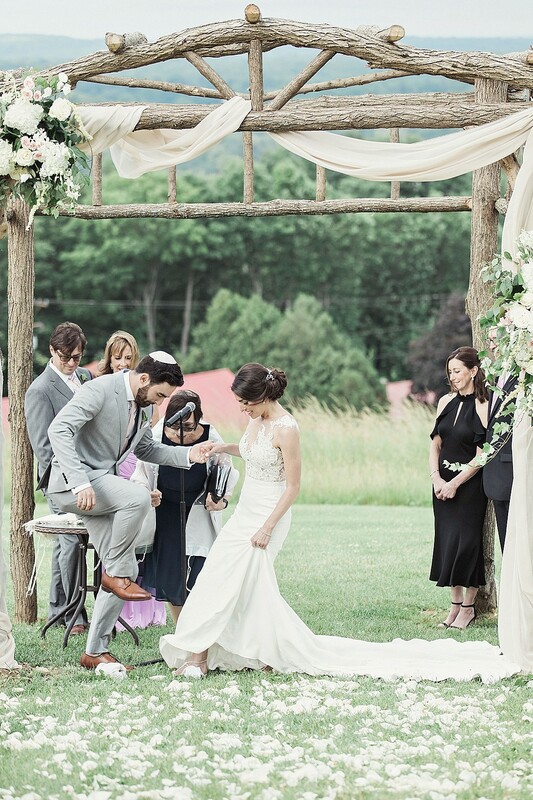 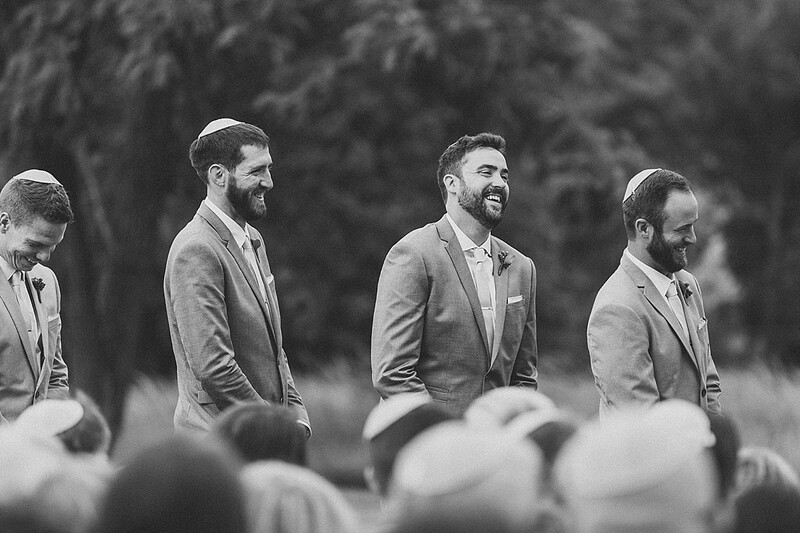 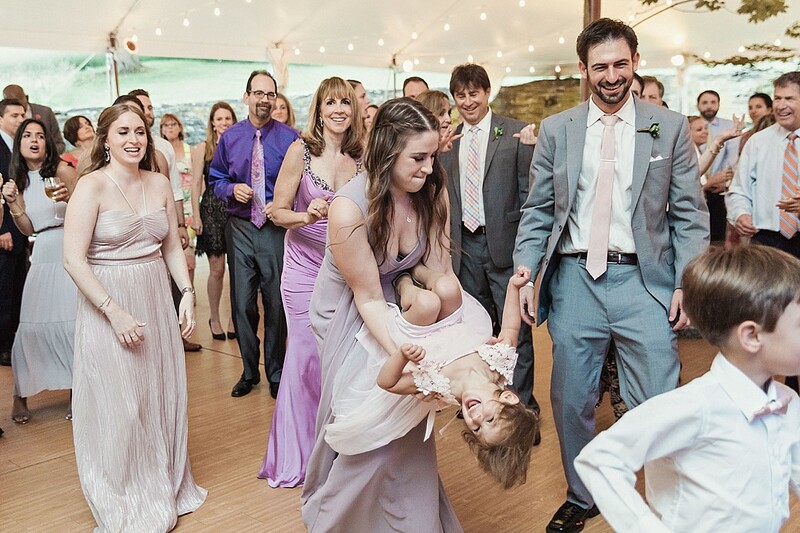 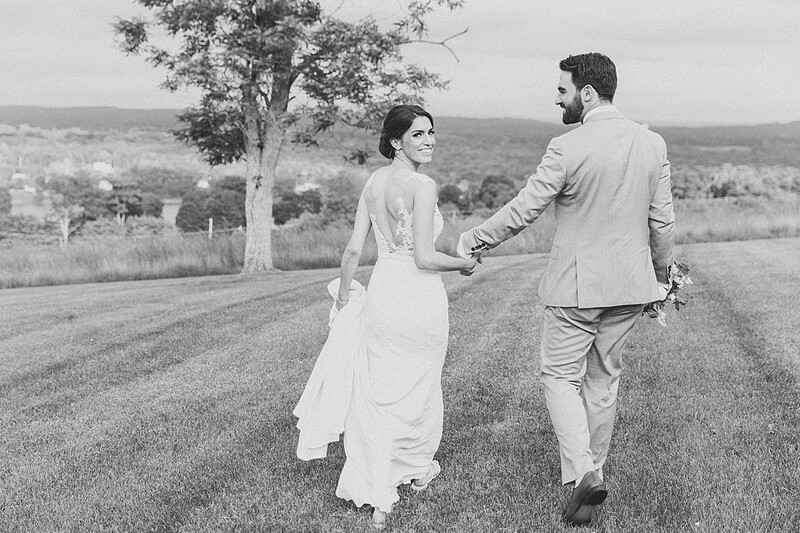 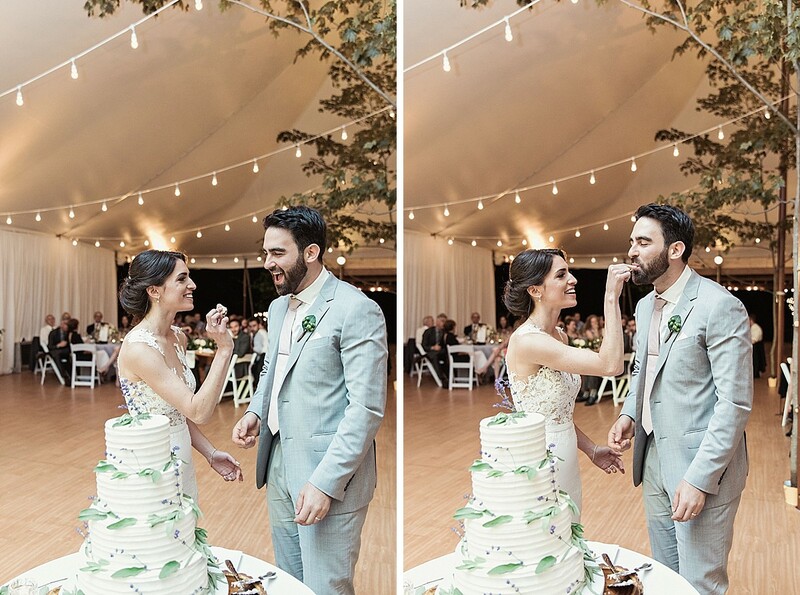 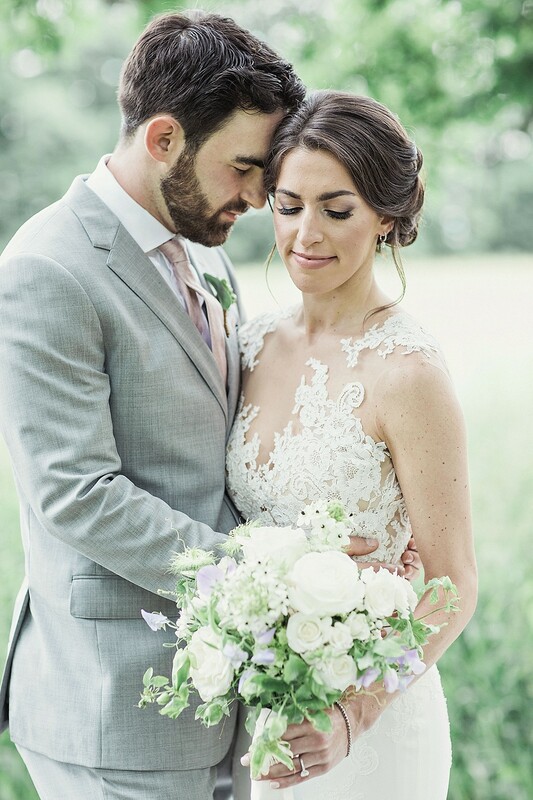 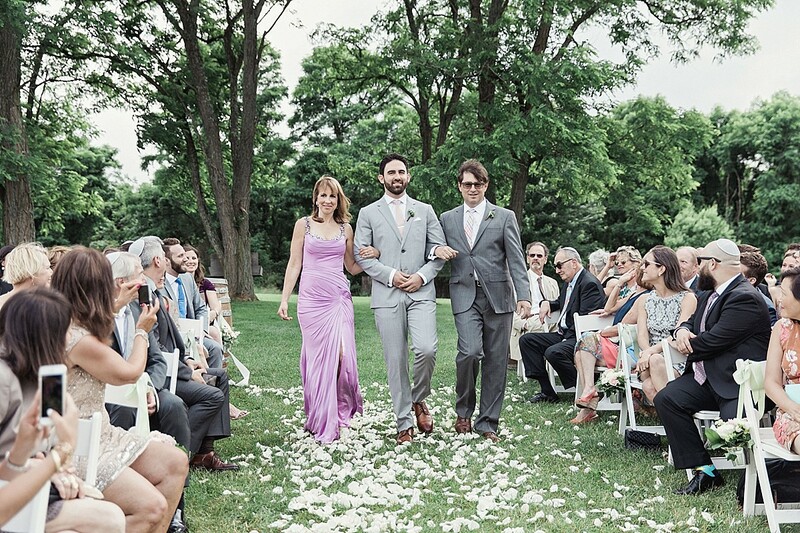 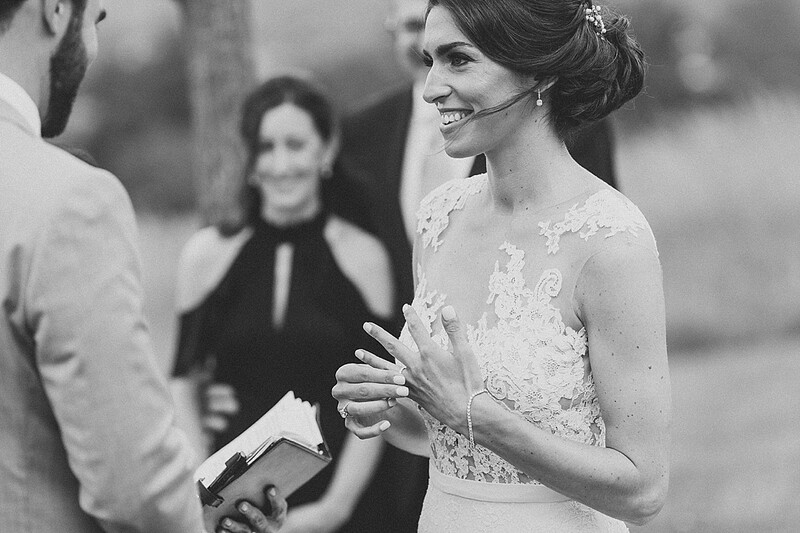 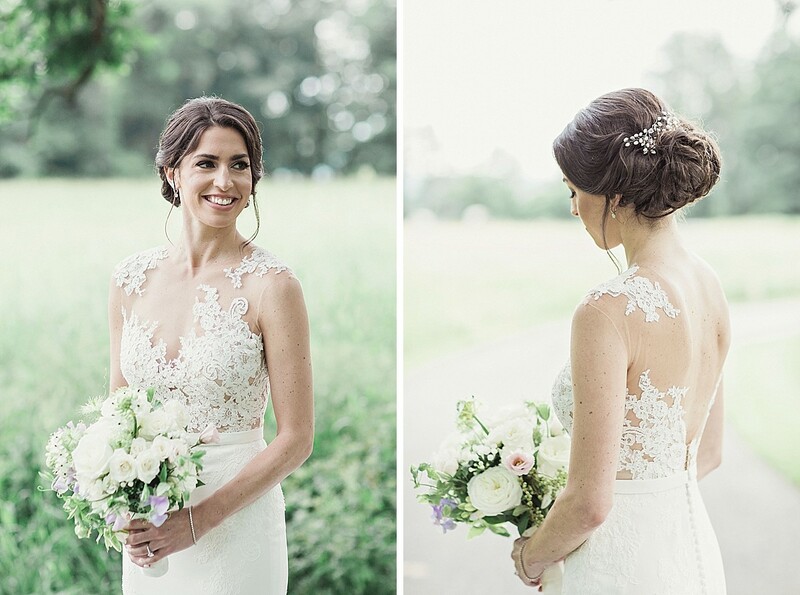 And Rachel and Eric’s nuptial celebration was everything a Hudson Valley wedding should be. 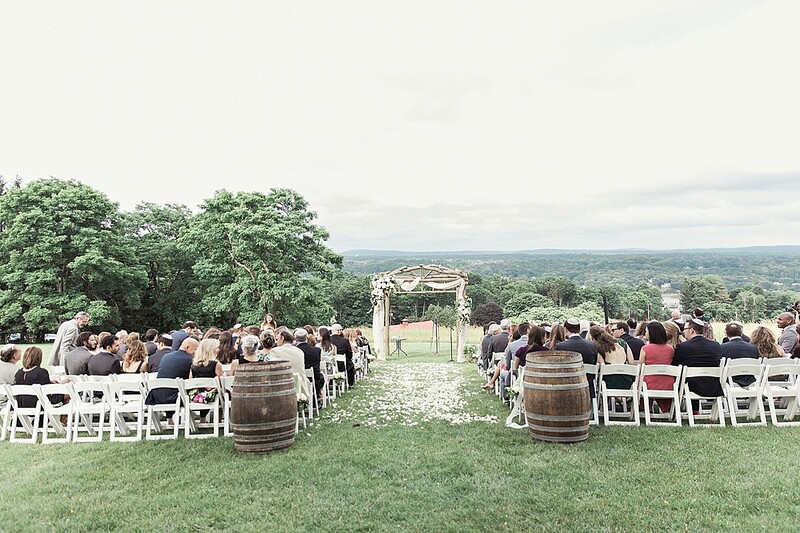 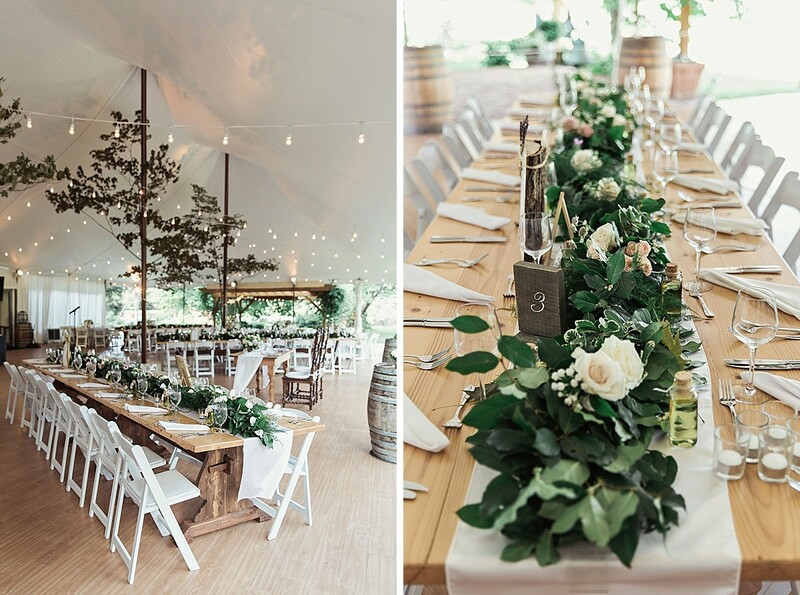 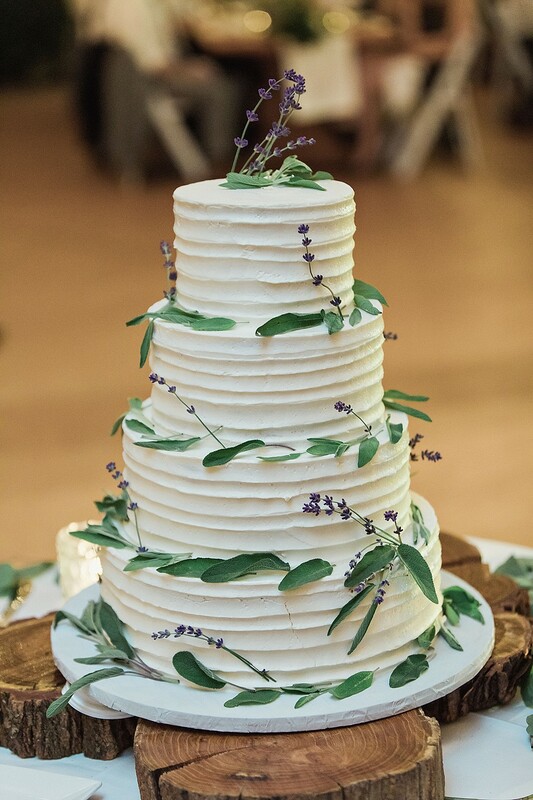 A ceremony on a hilltop with a breathtaking view, a reception in a tent filled with greenery, and even a bonfire at the end of the night, which equals perfection! 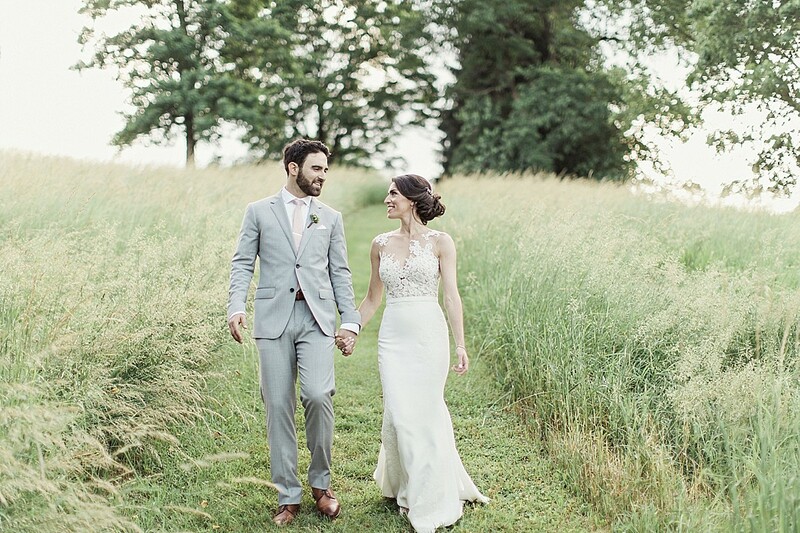 I loved getting to take these two out to the field for their first look and some dreamy portraits, and of course, we had to grab some sunset pictures on the hilltop after their ceremony! 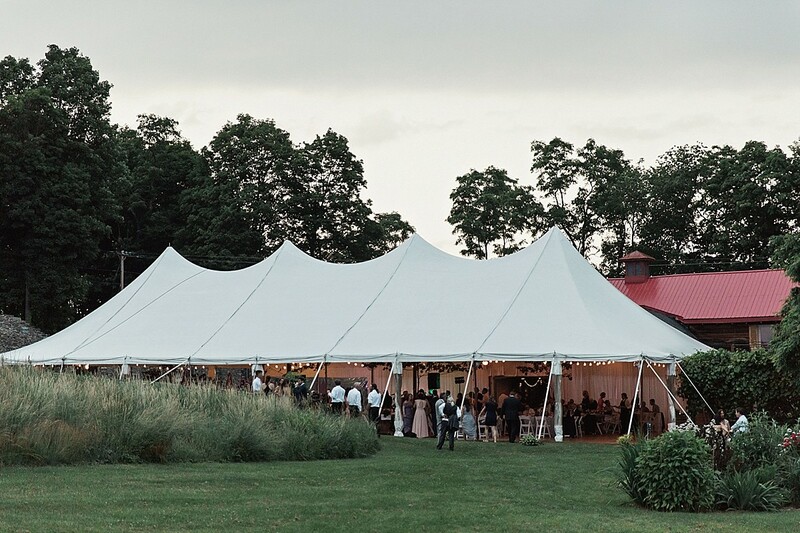 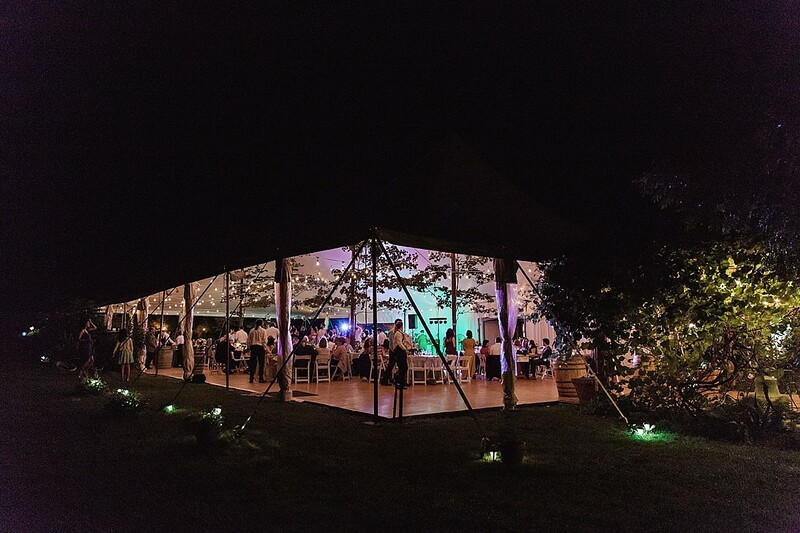 The reception was spread out on the lawn around the main building, stretching from their twinkle-light filled tent all the way to the pig pen, where we got to see some cute little piglets! 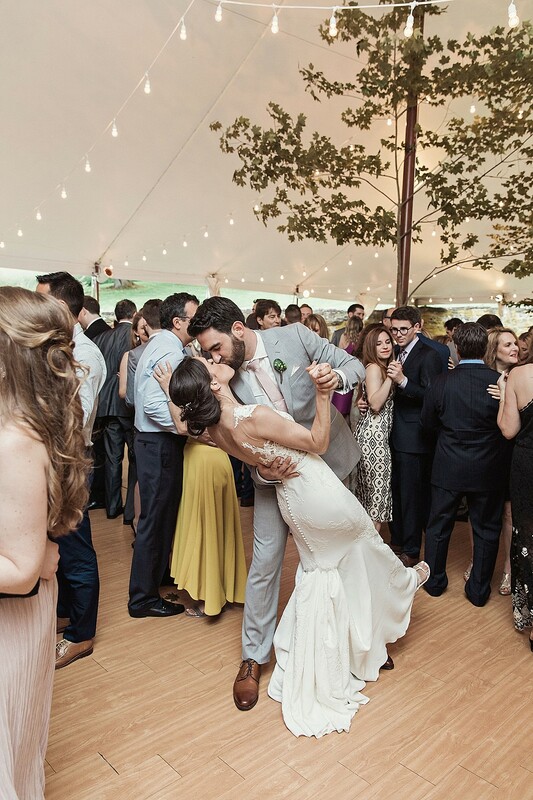 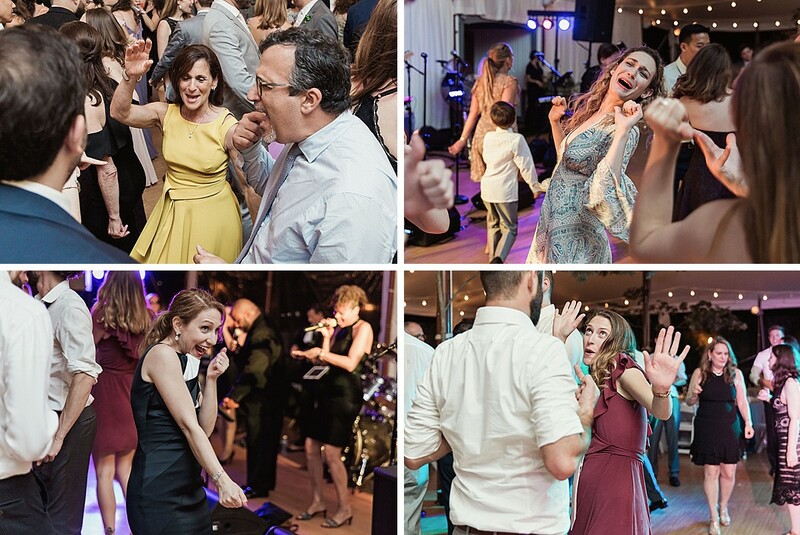 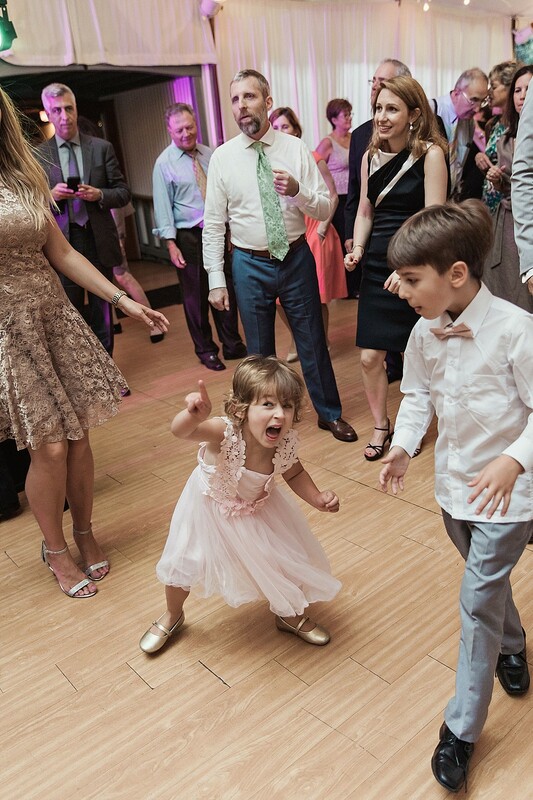 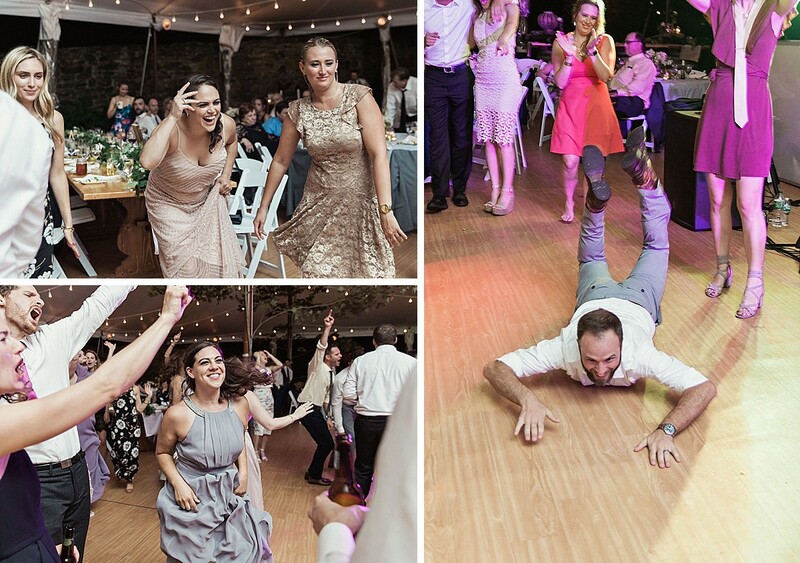 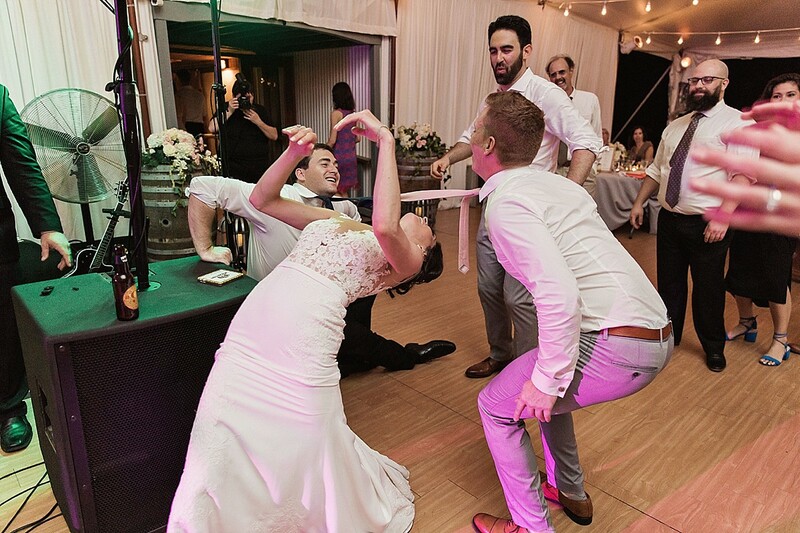 As the sun set over the Catskills, the newlyweds and their guests laughed and cried through speeches and eventually flooded onto the dancefloor. 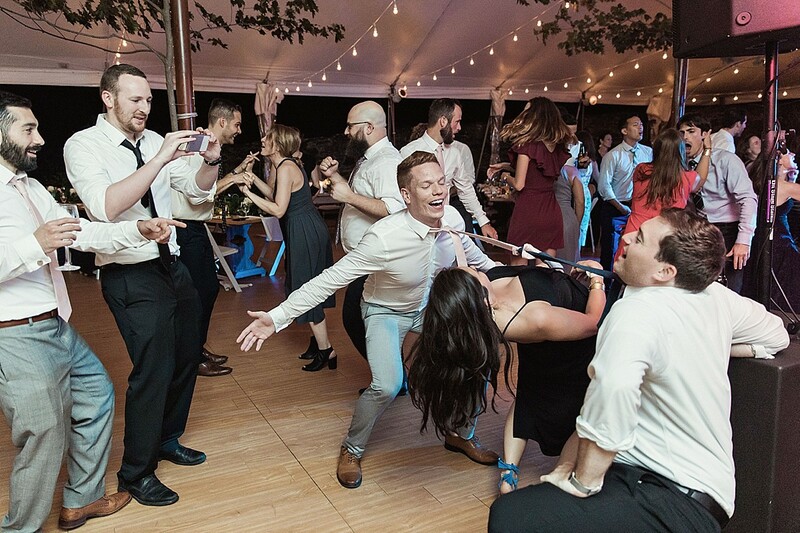 How about that tie limbo, haha! 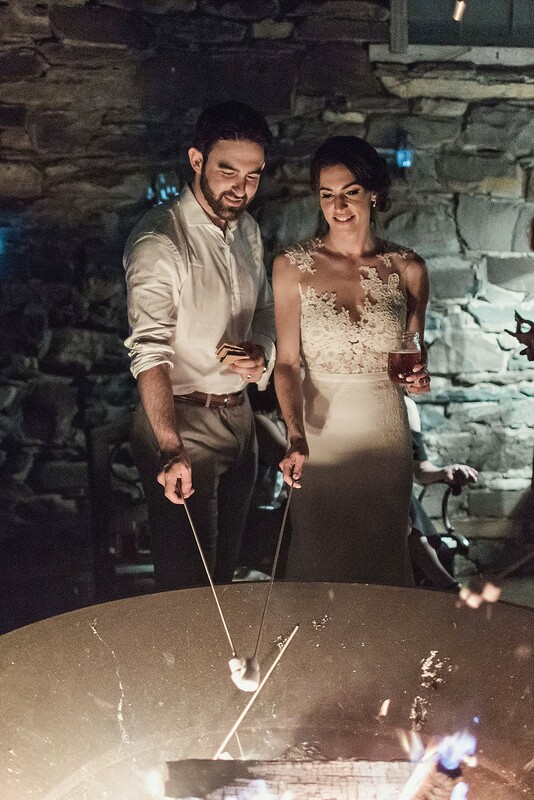 We stayed a little late to snap some photos of their after-party bonfire. 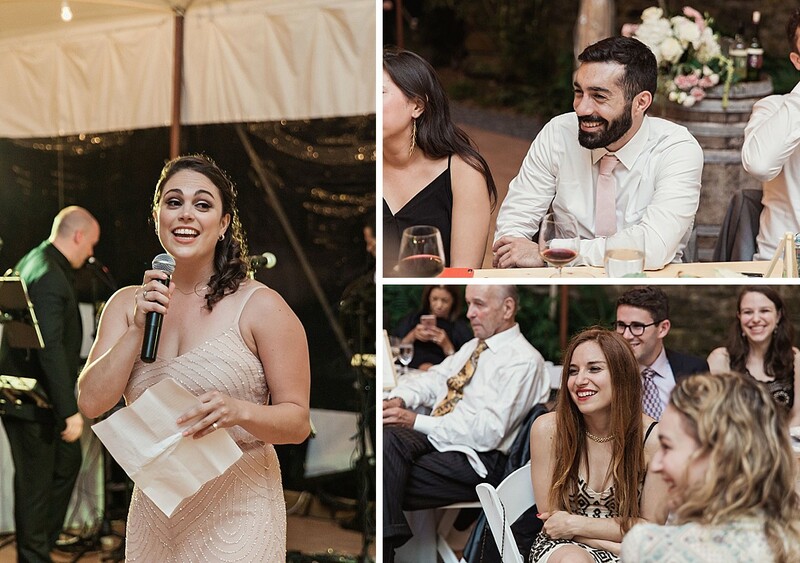 It was a perfectly warm June evening, so lots of guests stuck around to roast marshmallows with the couple. 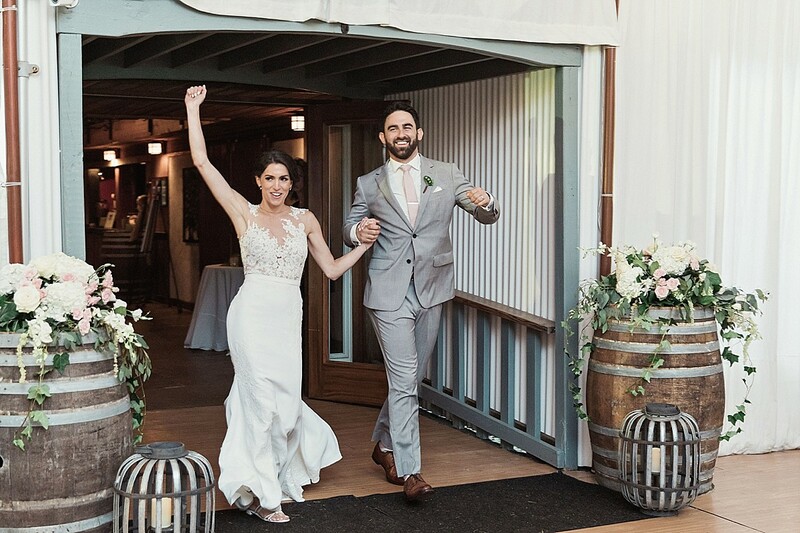 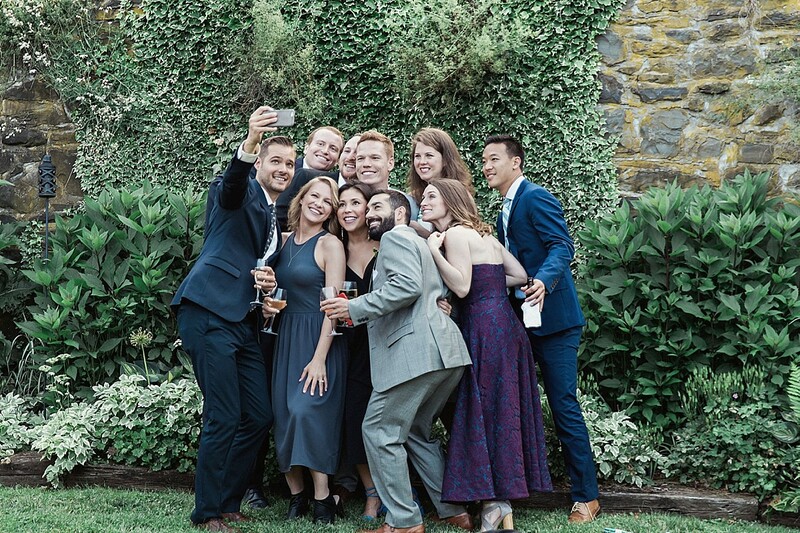 It was the perfect kickoff to the summer wedding season, and I’m still so happy thinking of it now. 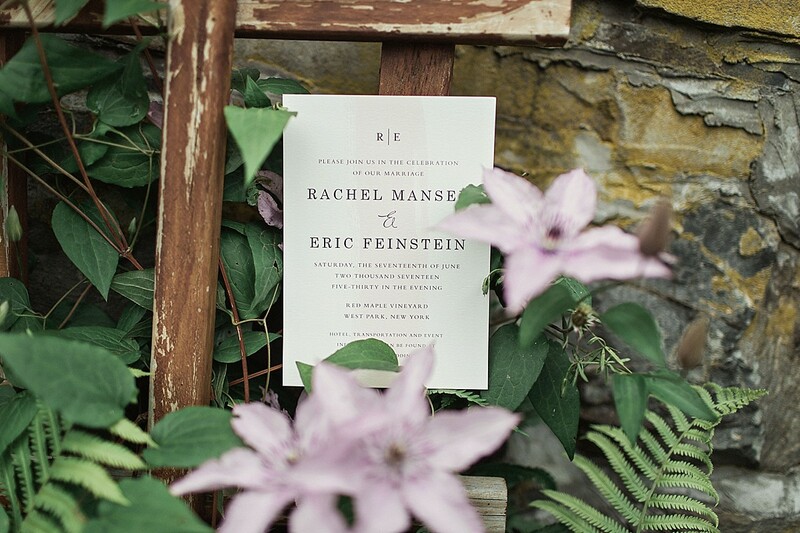 Cheers to Rachel and Eric!